This one’s for Beth, whose signature recipe at university was most definitely chicken, but who could also quite easily be persuaded to whip up a batch of these bad boys every now and then. These are basically just white chocolate with added sugar, but no one’s complaining. 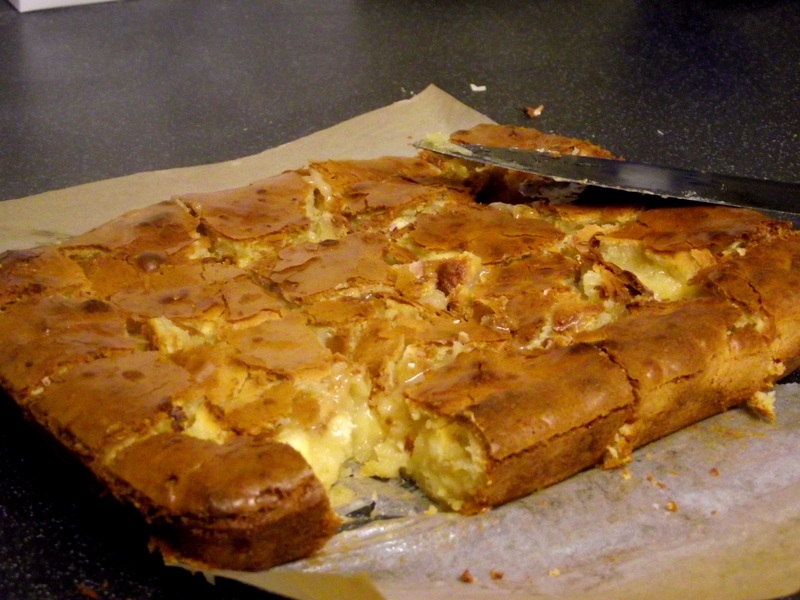 I massively undercooked this batch but again, not really a problem! (Unless you want to transport them/put them on a plate/eat in a dignified manner). 1. 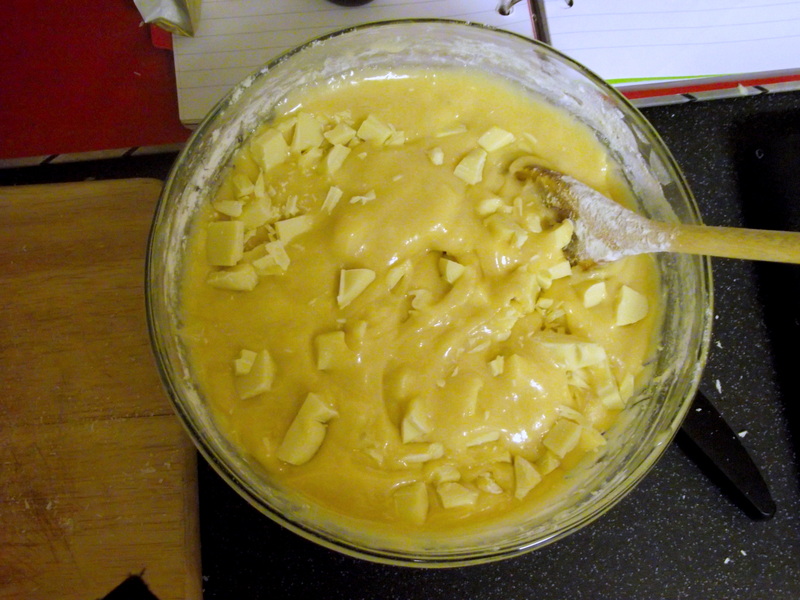 Melt 125g white chocolate with the butter and stir until smooth. Then beat in the sugar, eggs and vanilla, and fold in the flour. Finally stir in the chocolate chunks. 2. Pour into a deep pan, approx 9in square. 3. 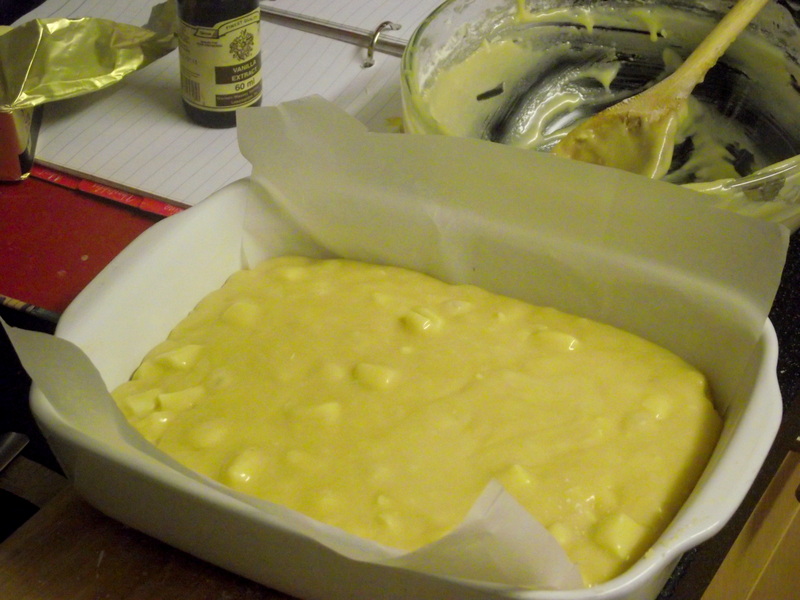 Bake at 190C until they’re done… I put mine in for 30 minutes which clearly wasn’t enough. 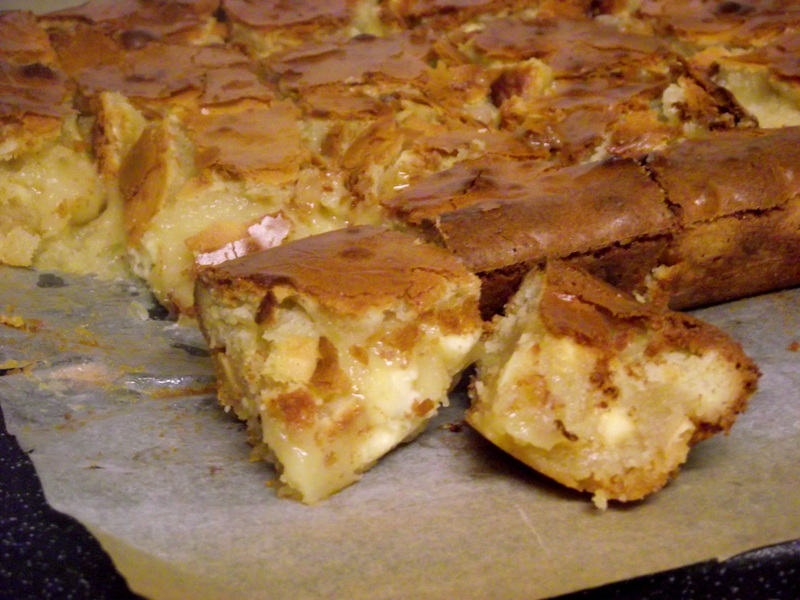 45 minutes would probably do it, a bit longer if you want them more cakey than gooey. As with all brownies, use your best judgement!